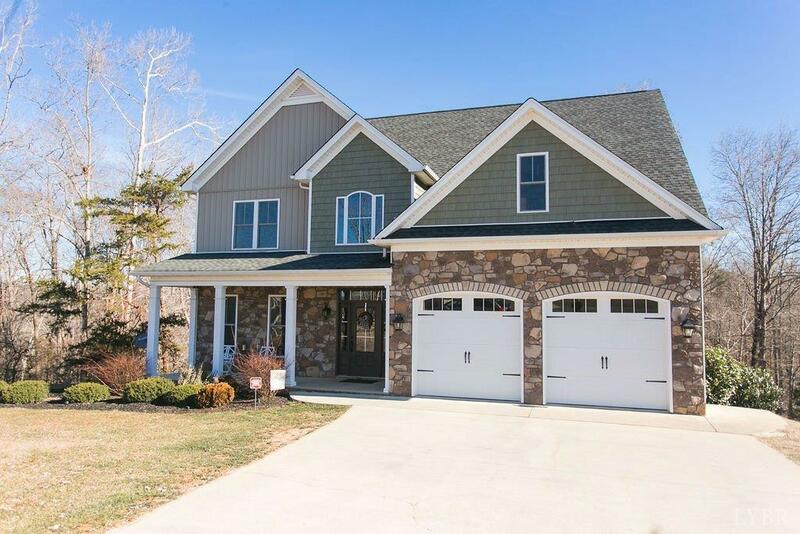 Beautiful like brand new 4 bedroom 2.5 bath home situated on 2.5 acres in sought after Fox Briar subdivision. Located on the cul de sac, great for kids bike riding or skating. Many upgrades including hardwood floors throughout main level and upstairs hallway. Amazing kitchen with granite countertops and breakfast bar, tiled backsplash and stainless appliances. Cozy fireplace is the focal point of this open floorplan great room. Main level laundry room. 4 bedrooms upstairs, master bedroom boasts a trey ceiling, enormous walk in closets, double vanities, jacuzzi tub, walk in shower, and water closet. Full unfinished basement for future expansion. Attached 2 car garage. Private deck overlooking the woods and in the fall and winter of the Creek. Great area by the creek for camping. Convenient to shopping, Liberty University and restaurants.